Tekceleo is an R&D contract company specialized in mechatronics and piezoelectric technology tp provide innovative solutions (covering, function, product and process) for its clients. 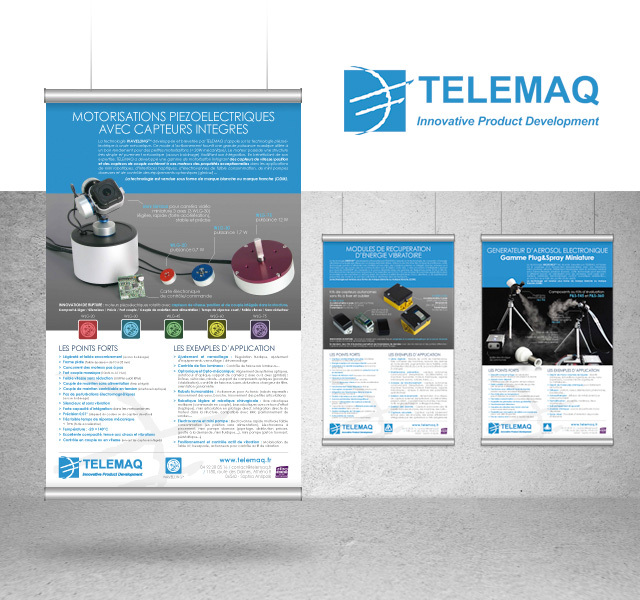 Ideogram Design has made use promotional posters but also the explanatory Telemaq products. A modernized image to a better impact.